The bells of the Curfew tower rang on Thursday 21 April and St George’s Day (23 April) in celebration of The Queen’s birthday. 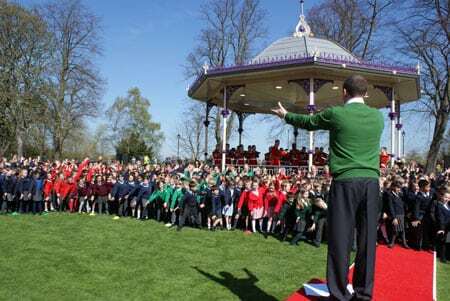 On 21 April the ringing took place at the same time as Her Majesty’s walkabout in Windsor and on Saturday morning the bell ringers rang a full peal (plain bob major) lasting three hours and sixteen minutes. The photograph shows the eight bell ringers immediately on completion of the full peal. 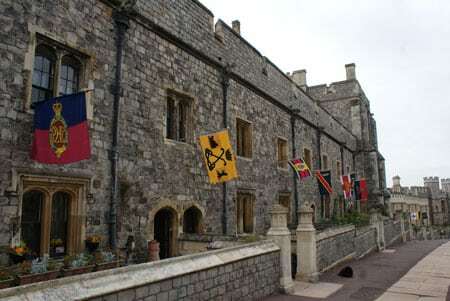 The homes of the Military Knights of Windsor had Regimental and Corps flags flying on 21 April as seen in the photograph below. Evensong on 21 April particularly marked the occasion. 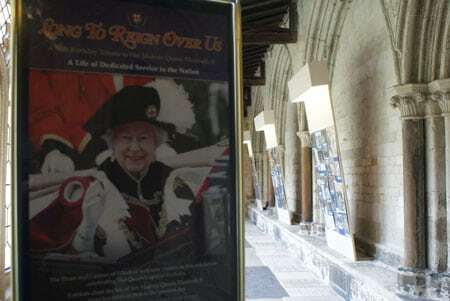 On 20 April an exhibition celebrating The Queen’s birthday opened in the Dean’s Cloister (at the exit from the Chapel) and will be in place until the end of July. Normal opening hours are Monday to Saturday 10am to 4pm; Windsor Castle admission charges apply. 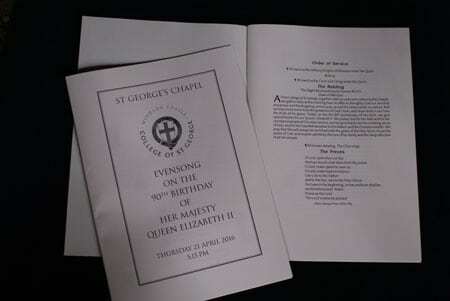 The BBC Songs of Praise programme broadcast on 17 April marked The Queen’s birthday and contained a short piece about St George filmed inside the Chapel. 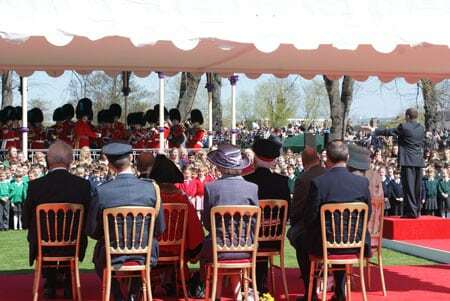 There was also a brief clip from the Royal Maundy service held in St George’s Chapel in March. The programme is available on the BBC iplayer until 16 May. 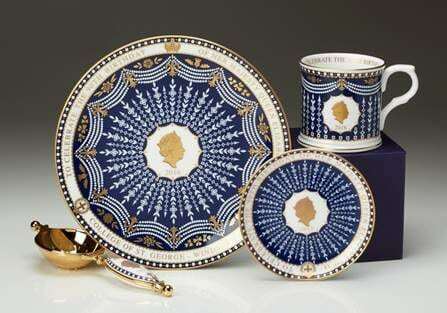 To see or purchase china celebrating the birthday which is exclusive to St George’s please click here.